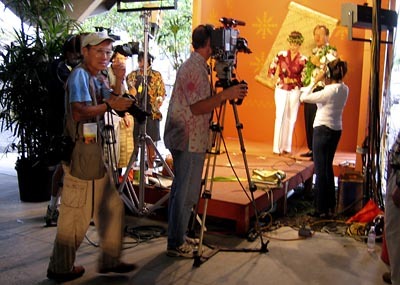 William sees me getting a snap with my little PowerShot as he gets ready to take a few shots of hosts Paula and Kimo backstage at the Merrie Monarch Festival hula event. On TV they have a nice tight shot of the pair and guests but here you can see the smoke and mirrors of their little set backstage. Previous PostPrevious Island of Apes?